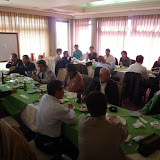 This page is to show our various events we have done every month. Updating every time. So you can view our all events with this page. 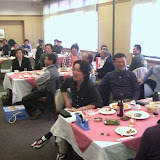 The 208th Suma Sangyo Cup Golf competition has been held on last 19 DEC 2010 at HIKAMI COUNRTY CLUB. Following line-up are game result of this competition. 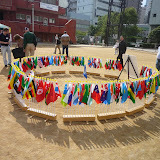 2010 Kobe Global Charity Festival has been held on last 6th November 2010 at Shouin Women's College in Kobe. 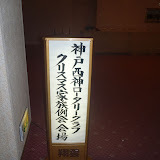 Shouin Women's College also had College Festival during that date on Nov. 6 & 7. So many visitors had come this festival. 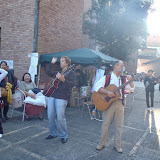 We also had street stall on this charity festival. Since this charity is for protection for poor and vulnerable, we donated all our proceeds of this charity festival as a fund for NPO & NGO. 2010 Enterprise 50 Awards in Singapore has been held on last 3rd November 2010 at Resorts World Convention Centre in Singapore. 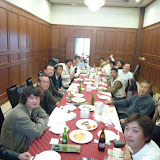 Since we are running branch office in Singapore, we've taken participated with this party. 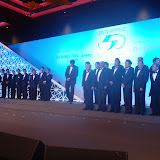 A lot of people from the economic world, the entertainment world and the political world in Singapore have been present at this awards. 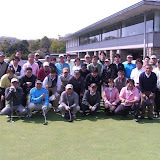 The 207th Suma Sangyo Cup Golf competition has been held on last 31 OCT 2010 at Taiheiyo Club Takaraduka. 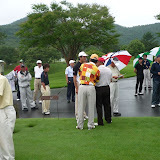 The 206th Suma Sangyo Cup Golf competition has been held on last 11 June 2010 at Madam J Golf Club. Following line-up are total game result of this competition. 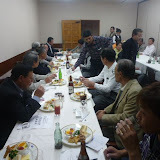 The 205th Suma Sangyo Cup Golf competition has been held on last 19 and 20 June 2010 at Ogori Country Club and Akane Golf Club. Following line-up are total game result of this Fukuoka series. 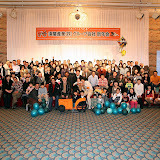 Charity Dinner Show has been held on 20-MAY-2010 at Seishin oriental Hotel. 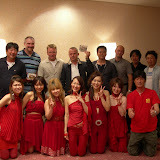 The performance has been done by “Queen’s Tears Honey” who is one of famous acappella group from our home town, Kobe. 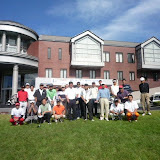 The 204th Suma Sangyo Cup Golf competition has been held on last 18 April 2010 at Yakawa Country. Total 50 players 13 parties competed on this event. 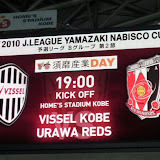 J- League Yamazaki Nabisco cup “Vissel Kobe vs Urawa Reds” has been held on 14-APR-10 at Homes Stadium Kobe. This game has special title called “SUMA SANGYO DAY” as a one of official sponsor of Vissel Kobe. 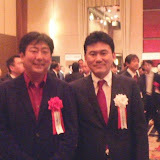 Vissel Kobe Official Sponsor Party has been held on last January 23, 2010 at Port Island Hotel. 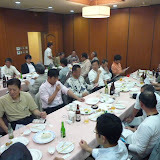 We “SUMA SANGYO” joined this party as one of official sponsor of representative from Kobe city. Christmas dance party has been held on last December 23, 2009 at Seishin oriental hotel. 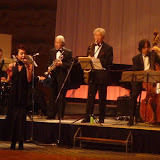 The party was performed by famous JAZZ BAND and played dance by all participants. We all enjoyed BALLROOM dance during this party. Christmas song dinner show has been held on last December 22, 2009 at Seisin Oriental Hotel. 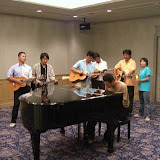 One of famous chorus vocals group "Duke Aces" have performed very beautiful Gospel Christmas during this dinner party. 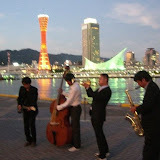 Kobe Global Charity Festival has been held on 18-OCT-09 at Kobe Isogami park. We took participated in this Festival as our policy of Local activation and Protection for Poor and Vulnerable. We also donated the proceeds of our all sale for this charity festival. 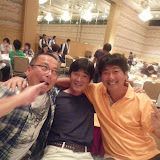 Mr. Ikeyama has got travel ticket for overseas. The live an amateur performance, but played it very hard. Thanks for a lot of galleries. For coming Folk Live Festival will be held on December 24, photos gallery of the practice scenery. 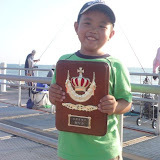 The 2th SUMA SANGYO Fishing Competition has been held on last 05-SEP-09 at SUMA Fishing Park. 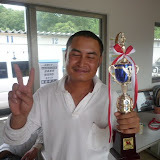 The 7th SUMA SANGYO Cart Race Ground Prix has been held on last 29-AUG-09 at Kita kobe Circuit. 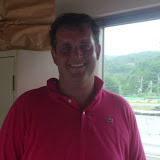 The 7th SUMA SANGYO CART RACE GROUND PRIX. The 6th SUMA SANGYO Cart Race Ground Prix has been held on last 26-AUG-09 at Kita kobe Circuit. The fastest racer in spite of his weight 128kgs. The 12th SUMA SANGYO CART RACE GROUND PRIX. 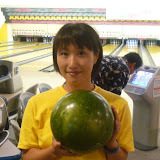 The 12th SUMA SANGYO Bowling competition game has been held on last 19-AUG-09 at Seishin Bowling Plaza. She is defending champion and made a splendid achievement 3 competition games. The 12th SUMA Bowling Comp. OSAKA PROFESSIONAL WRESTLING GAME SHOW HAS BEEN HELD ON 07-AGU-09, AT SPECIAL RINK, SEISHIN ORIENTAL HOTEL. PLEASE VIEW ALL PHOTOS ON PICASA? A game of Kansai independent baseball league pennant race / Osaka Golden Birikens VS Kobe 9 Cruise was held in Kobe Sogo Sports Park Sub-baseball stadium on last Saturday, July 4, 2009. President of Suma Sangyo Mr. Isamu Kikutani acted as an opening ceremony pitcher of this game as the latest sponsor of Kobe 9 cruise. *due to weather condition of this day, no photos available.